Hopefully it’s clear from my writing that I like to focus on the positive that surrounds my existence. From the vibrant people to exotic places, new food to priceless adventure, I hardly have anything to complain about. So acknowledging that, please read the following post knowing that I mean it with love and great intention. 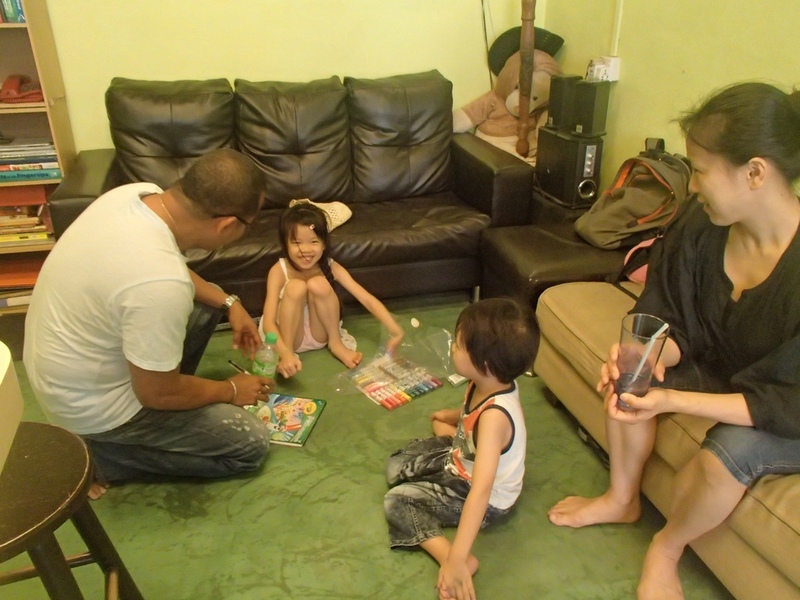 Something here in Malaysia that I’ve had a hard time adapting to is the eating habits. If you’ve been following my journey for awhile, you’ve seen my creative way to stay healthy by purchasing my own fresh food and choosing wisely with portion control if I indulge in local treats. The food here has a tempting aroma, the right price and a variety that lines the streets everywhere you go. The struggle I have, is the way it’s all prepared. 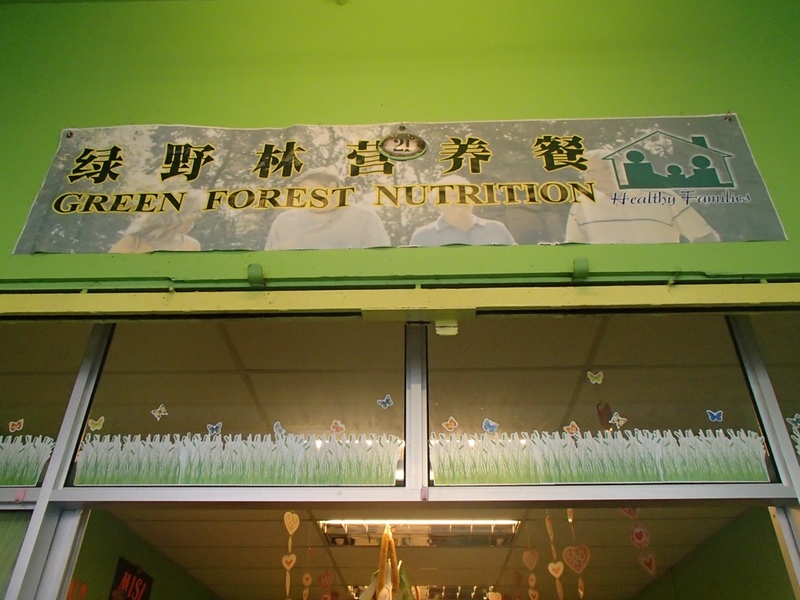 Fresh greens and herbs? Yes! However it’s usually over cooked and covered in oil. Of course there’s fresh fish… deep fried. Rice noodles, egg noddles, flat noodles… accompanied with pork, chicken, fish paste, and more oil. 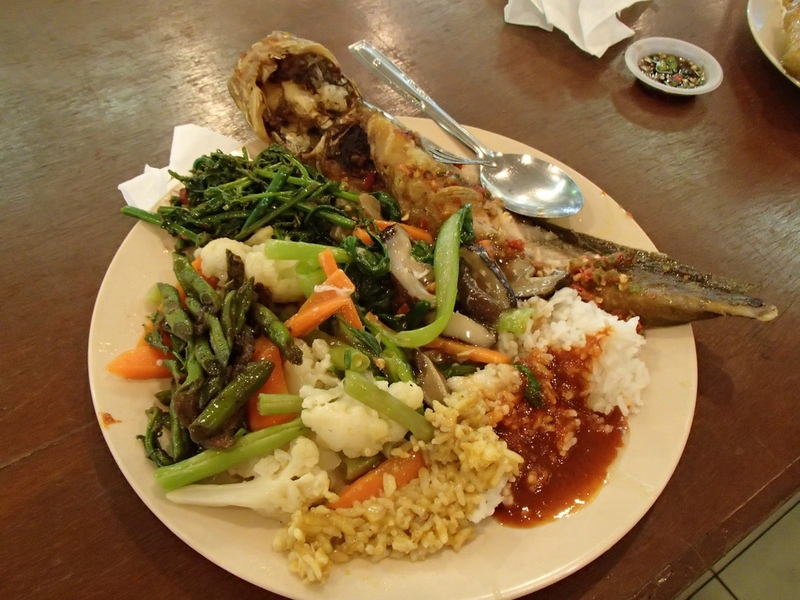 Below is an example plate of fish, greens and grains. Doesn’t that sound like it should be full of nutrients, vitamins and goodies for your body? It was, until they prepared it. I also asked for a serving of “one person”. 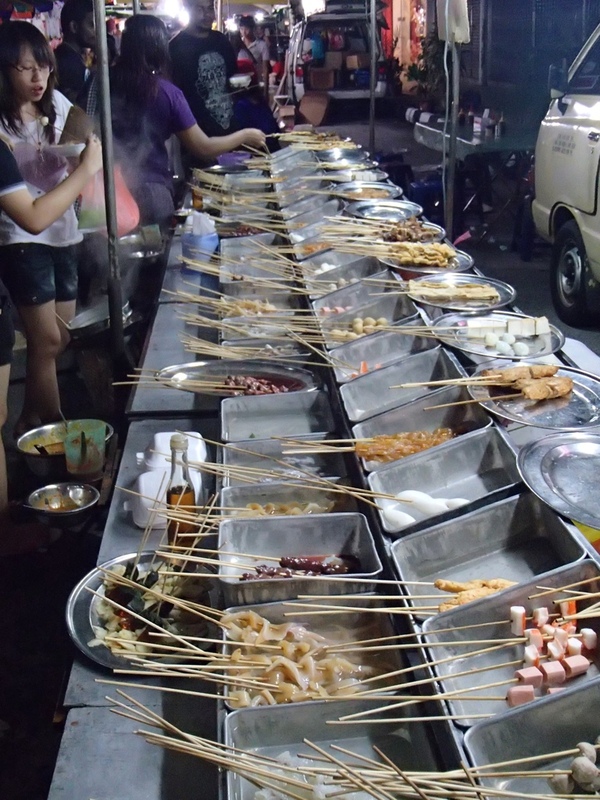 Here is a popular stand at the local night market. 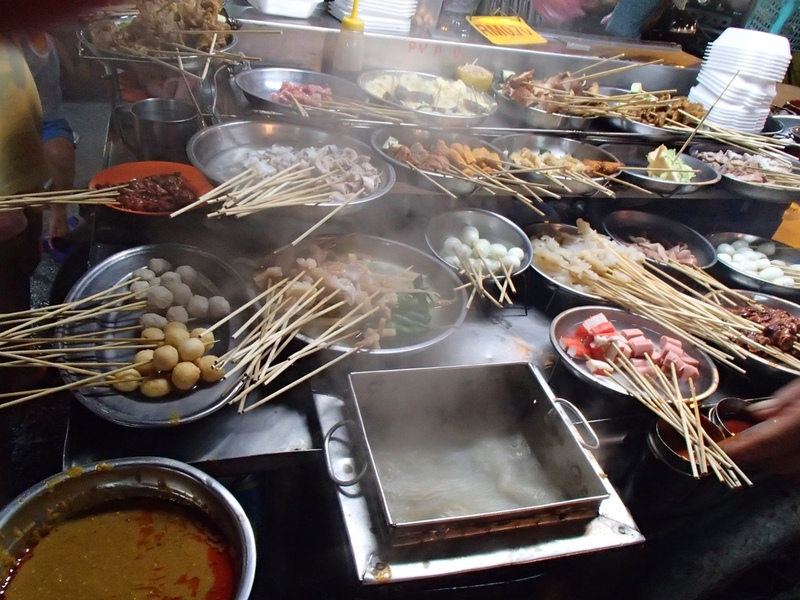 On a stick you can find a variety of tofu, vegetables, fish and other meats all prepared and ready to be cooked. When I say “cooked” I wish I was talking about grilled or steamed, but here is the deep fry station. You dip the stick in the oil and then finish it off with the sauce of your choice. As I walked down to the local market to pick up some fruit, I was taken back by the green walls and white teeth of smiles. What’s this?! 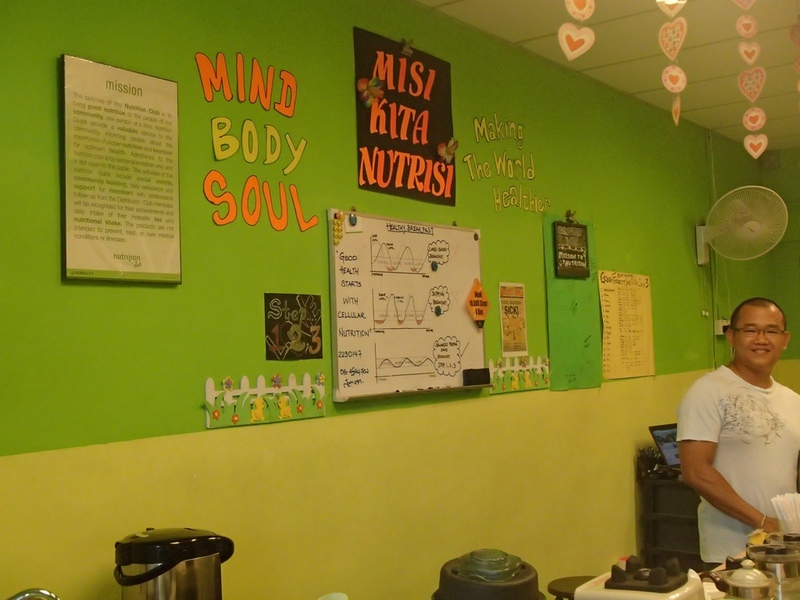 A wellness cafe not only serving up aloe, tea and vitamin dense shakes but happy people chatting about a healthy world. Take a look around! The gentleman sitting at the bar is a native here and is beyond familiar with the local lifestyle. 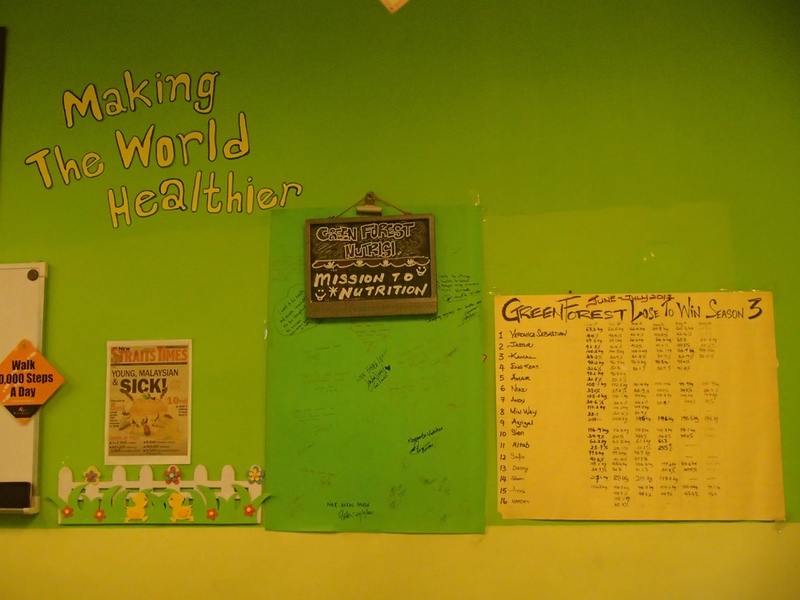 Marcel, a new partner in the world of health, found this little green heaven just in time after being diagnosed as a diabetic. Ironically I just saw on a local news report that over 60% of Malaysians aged 18 and up, had a BMI over 25. (A BMI of more than 25 means the person is overweight). Following that they explained that although North America has a higher rate obesity, Malaysia has a higher rate of diabetes. Meet Brian. 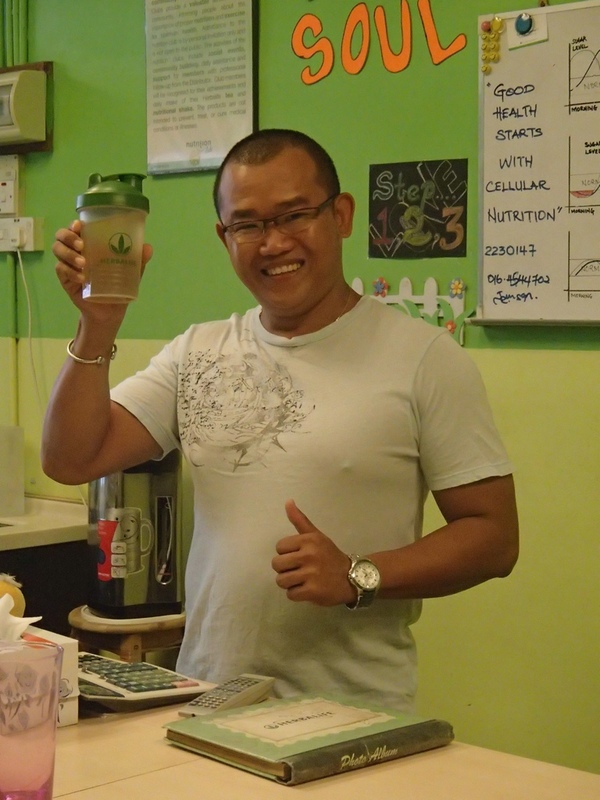 He has a contagious love for nutrition and extreme desire to open the minds of the local people to a new way of living… Healthy! His enthusiasm towards health and his passion for life was nothing short of positive motivation! 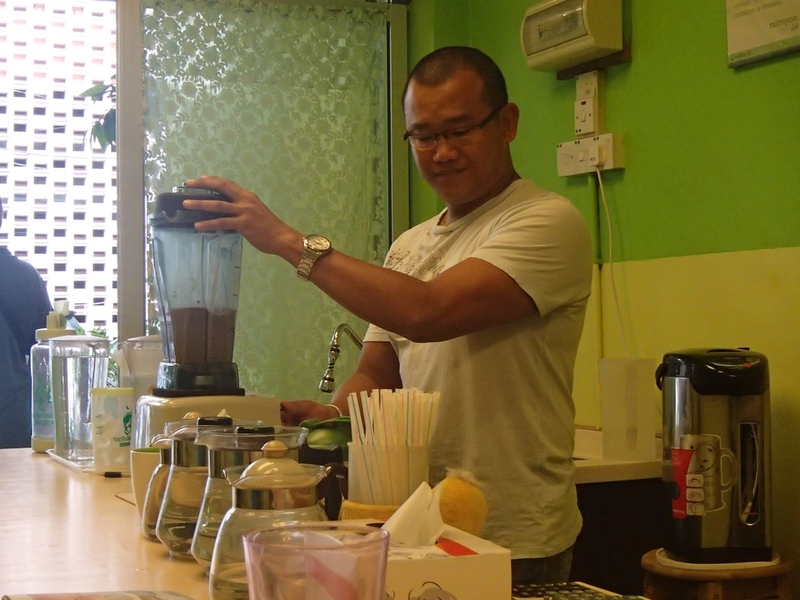 As I enjoyed my smoothy, he pleasantly shared his story from beginning to present and the journey that lead him here. I don’t want to exaggerate numbers or dwell on percentages, I feel the point should be focused on necessary knowledge to create change. That my friends, is why I was so uplifted by this room full of kind hearts and energetic minds. 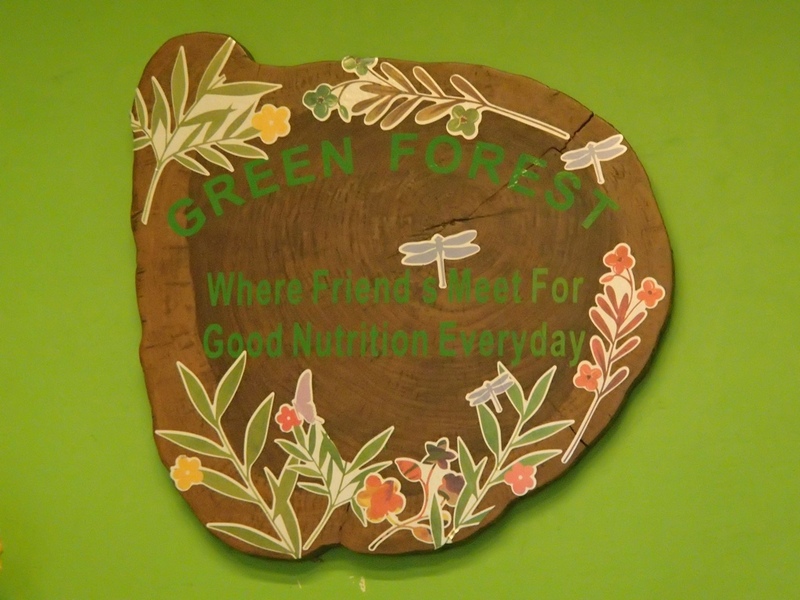 Thank you Green Forest for the much needed and refreshing conversation. This also includes the scrumptious start this beautiful day! If you have any interest in contacting this ray of sunshine, please email me and I will connect you directly!